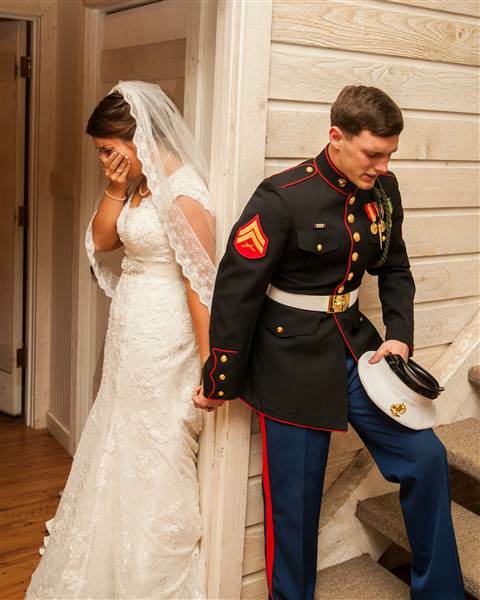 A North Carolina photographer captured a powerful image Saturday showing a touching moment between a bride and a groom just minutes before their wedding ceremony. 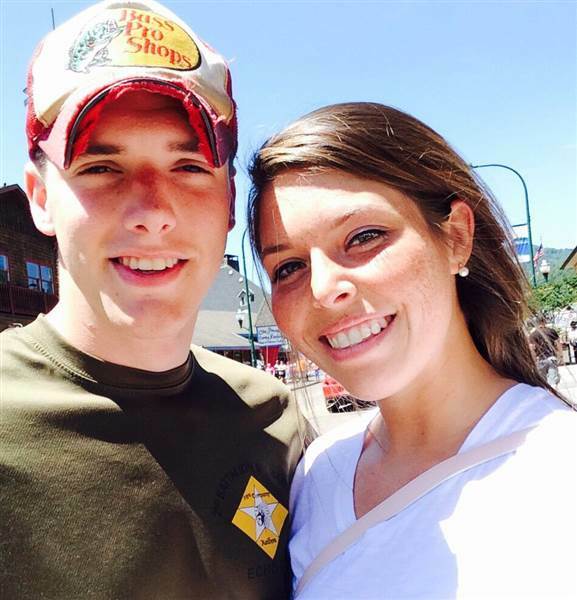 Faith is something that U.S. Marine Corps Cpl. 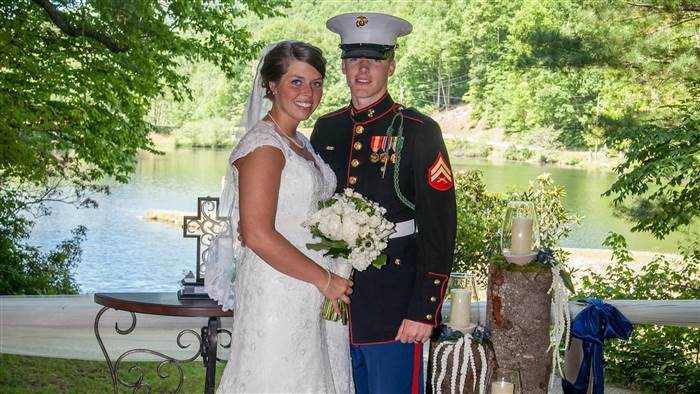 Caleb Earwood and his future bride Maggie don’t take for granted. Minutes before the two were to be married, their photographer Dwayne Schmidth captured a beautiful moment that reveals just how vulnerable marriage truly is. Not wanting to see each other before the wedding, Maggie leaned up against a wall near Caleb, who stood on a staircase, while they grasped hands and prayed together. 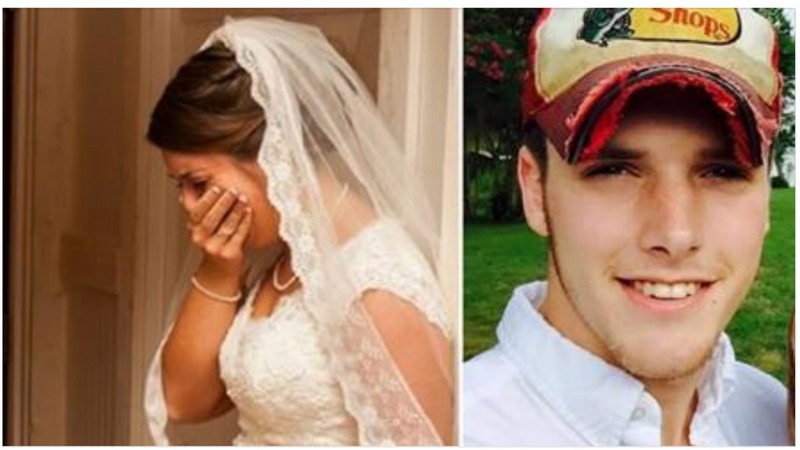 “I prayed to God for my beautiful and intelligent wife that he blessed me with and the amazing family I was marrying into,” Caleb said to TODAY.